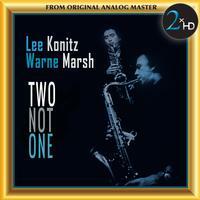 The cumulative impression of this reissue of alto saxophonist Lee Konitz and tenor saxophonist Warne Marsh recording made in Copenhagen in the 1975 is one of exceptional creativity. Both men were masters of the art of never repeating themselves and a set of this scope really brings the point home. Clearly, Konitz & Marsh had by this stage of their respective careers taken their interest in music to a point which for the time at least was scarce amongst jazz musicians. It is amazing music from the two Lennie Tristano pupils. For the 2xHD transfer of this recording, the original 1/4”, 15 ips CCIR master tape was played on a Nagra-T?modified?with?high-end?tube playback electronics wired with OCC?silver cable from the playback head direct to a Telefunken EF806 tube. The Nagra T has one of the best transports ever made, having four direct drive motors, two pinch rollers and?a?tape tension head. We did an analog transfer to DSD256 (11.2mHz) using Merging Horus/Hapi A\D converter and a dCS Vivaldi clock. Each format (96kHz, 192kHz, DSD2.8mHz, DSD5.6mHz and DSD11.2mHz) was created from that transfer.